Borovets is the oldest but also the most beautiful mountain and ski resort in Bulgaria. 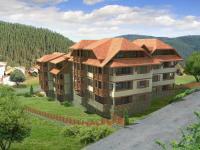 Till recently, owning a property in Borovets was a privilege of the rich and wealthy. With the start of the new "Super Borovets" Project the resort and its facility will extend further and will accommodate more apart-hotels and private villa complexes. The whole project is designed in a tasteful way to blend with nature. Naturally, property investors will benefit from the development of the resort and opportunities for buy-to-rent investors will appear. Buying a property in this area and the surrounding villages will definitely be a successful investment in the near future. 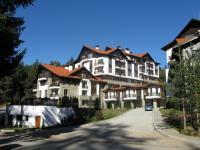 Browse through our database and find your right property for sale in Borovets.